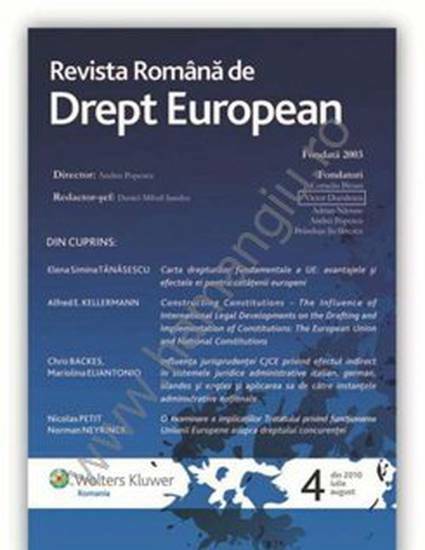 This contribution (in Romanian) shows how the role of law is changing as a result of globalisation and technological progress. It demonstrates how the traditional view of law as being produced by different nation-state legal orders, each claiming exclusive jurisdiction for a limited territory, is gradually making place for alternative types of ordering. The ex post reliance on the law to provide appropriate rules, enforcement and dispute resolution is replaced by a situation in which actors proactively avoid as much as possible the applicability of laws. This development towards delivering ‘legality’ without law is much more important in understanding the de-nationalisation of law than the concrete efforts of European and supranational organisations to create rules fit for the European or global market.